If you are interested in one of the world's most wanted cars, you have your chance to buy one, but you have to have $7.5 million to play. When the Divo was introduced at Pebble Beach last year all of the build slots -- 40 -- were thought to have been presold. But, according to Mobile.de a German dealer has put a build slot -- and the Divo that is in that slot -- on sale for the figure noted. It's the first one available. 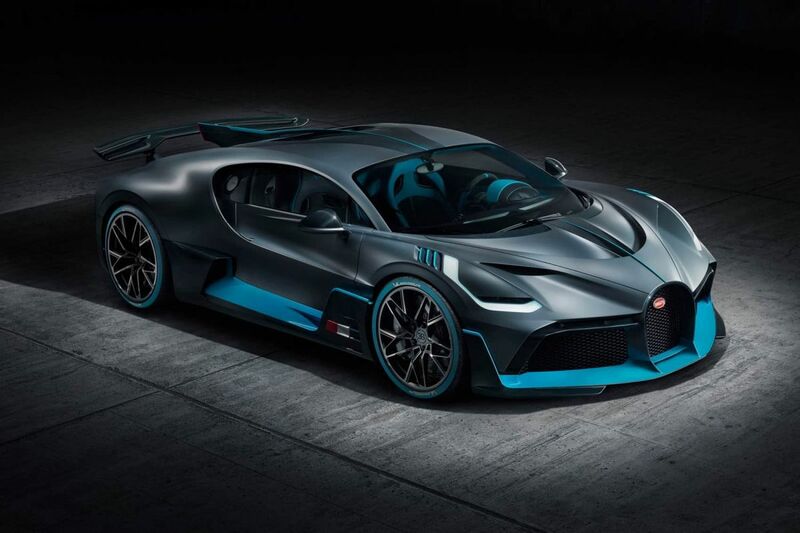 Here is a walkaround look at the Bugatti Divo. Today, though, says Motor1.com, the Divo is not as exclusive as it once was because one of the build slots has been listed for sale at $7.5 million. Originally, the Divo was to have cost in the vicinity of $3.2 million. And, now, according to the German sale site, Mobile.de, a dealer, DI Automobile GmbH, located near Munich, has put its build slot on the market. If you have enough to afford the purchase price, you can expect to have your Divo delivered sometime toward the end of this year or the beginning of 2020. And, if you do take delivery of the Divo, you should know that it is definitely track-oriented. It is far different than the luxurious hypercar, the Chiron, on which it is based. For example, though both vehicles share the same 1,500-horsepower, quad-turbocharged W16 engine, Divo has a wealth of performance parts that separate it from the Chiron. And, the Divo is somewhat lighter than the Chiron, by 77 pounds. Given these upgrades, says Motor1, Divo can almost run rings around the Chiron. At the Nardo test track, the Divo outran the Chiron by eight seconds. Divo does have a top speed of 236 mph (380) kmh. Bugatti's Chiron Used As 'Parent' For The Divo. Interestingly, when it was introduced it looked as if the 40 Divos, presold before the announcement of the vehicle was made, would be in the hands of wealthy car enthusiasts and out of the reach or site of anyone else. However, now that the listing is out there, it looks as if the Divo is fair game. However, as has been noted, you have to have more than a little cash to afford it. However, if you are the person who does win the bid, you will be rewarded with a very nice high-performance Bugatti hypercar. Just what are they thinking using a Bugatti Veyron for burnouts?